I just got back from today’s ACT! rally at City Hall, in which they gave a press conference against the proposed Ground Zero Mosque. After the press conference they headed to see our Islamophile Mayor. They went to his office to hand him a petition signed by over 120,000 people who are in opposition to the Mosque. I first arrived at City Hall at about 10:30 AM and I meet up with a new friend Andrea (who is a reader of this site), but we did not see any crowd gathering or media. Finally at about 10:50 I spotted a mostly anti-Mosque crowd gathered on the Park Row side of City Hall. After a few minutes the police told everyone to form a line before we could enter and head to the steps of City Hall. As that point an Islamophile started to spew his hate towards the anti-Mosque crowd. I was silent this time, but you will also see one of his cronies in the background (the woman with the sign). Listen to her words carefully, she has been caught on tape stating that they were there to cause trouble. We will see more of them later. Once we were let in I noticed the crowd was about twice the size of the previous day’s Dr. Jones’ rally, but there was only about half the MSM present. Here is the press conference with ACT! spokesman Guy Rodgers leading the way. During his speech you might have heard some chants about racism coming from the opposition, which most of were already escorted outside the fence. But of course another hatemonger wondered through. According to this historian we lost WWII, oh my mistake, according to him we are the Nazis. The next speaker was a woman who lost her brother Sean on 911, he was a firefighter and US Marine. She states he was killed in the name of Islam. After the press conference, some of the opposition decided to act up and started up with their chant of “we say no to racist fear”. Right after that subsided, a woman whose name I will not mention walked up to us, and agreed with what we were saying. What race is Islam? The woman was very nice, said she was a liberal, and did not understand how anyone could defend Islam. She mentioned that the more she read about it, the more she was against it. Her message was that we had to make it clear, Islam is not a race. It was very refreshing to have a mature conversation with a liberal on this issue. She has my respect. A few minutes later the police asked everyone to leave. Outside the gate I noticed the guy who was calling us Nazis in video #2 above, and his crew. I decided to walk over to them with Andrea, and try to have an adult conversation with them. Here is where they spewed their venom, and once I saw they would not respond to me with anything other than what about Christianity, or their immature insults, I decided to just film their out of control behavior. After a bit, the police cleared the street. Earlier they mentioned they were there for confrontation, and that is exactly what they did. But I just do not see the point though. Our movement will not be intimidated! Thanks Gary! I don’t know what the people in the last video thought they would accomplish by acting like that. Standard libtard behaviour – deflection, immaturity and violence. Are you losing the debate? allowing you to claim victory! Gary, I was there today and was verbally accosted by the ignoramous. be mentioned because at each pro-mosque protest, the white protesters signs are all sponsored by communist or fascist groups. Did we happen to speak? I can’t read the sponsors listed on the signs. The names of those organizations do need to be exposed. Look for the little Union” bug” on the signs. Here is the website for those horrible islamophiles! The “top story” about Act Americas press conference reads like it was written by adolescent — check out the site! I think the most correct word for them should be Muslims. Even though they might not engage in the faith, they are furthering it and accepting it without question. That is submission, and submission is Islam. On the site, their priorities are clear: they want to confront the JDL. It will be easy to expose these people from the hypocrites that they are. Criticize them enough and they will use violence to silence us. When they use violence, the objective will be clear– it is not to stop hatred of Muslims. It is a place where Muslims and their multiculturalist subordinates express their hatred for Westerners and those who wish to preserve Western civilization. Google the story about the burqa clad woman who was sentenced to 6 months’ gaol for falsely accusing a police officer of ‘racism’ in Australia. She wants to appeal because, according to Islamic leader Keysar Trad, she has 7 children and so should not go to gaol. Awwww…perhaps she thought of that before she broke the law. How many people go to gaol who have kids? These muzzies think they’re above the law, and that Sharia law is better. If they don’t like it they should leave. She should get 7 years for each of her children. That would land in a total sum of 47 years in gaol. Serves the stupid sharmuta right. LOL! Your a hard man but fair, Dinsdale. Its damage comes from being believed. You are free to not believe it. Those seven will have their mentally ill mother again in at most six months. Unfortunately in Pakistan a mother of two, Asia Bibi , was sentenced to DEATH for blaspheming the prophet Mohammed. Let’s trade the two families. Thnks for being there. I was there 6-6 and 9-11. I will be with you there again when I can. This mosque MUST NOT be built. Thanks for this article and all the videos. liberals don’t even know when to be embarrassed of themselves. I seriously doubt if they even cracked open a koran, or sharia laws, or even have a real clue as to what its history is – past or current. According to them the genocides, the slaughters, the violence is a-ok when committed by moslems. It is a common ploy for the moslems and their ‘useful idiots’ to project what they are about onto those who they hate. Now, liberals are waking up. Just this year, three admitted lefties have joined my Act! group. So, all is not lost – we have to keep drumming into their gourds the facts. Great work, I had been told by several readers that they are liberals, but they will not stand with this religion/ideology at all. Thanks for taking the time to watch them. Andy you’re doing a stellar job. You have become an inspiration to us all. I couldn’t tell if you were behind the camera. However It is a good policy not to directly answer a question or a comment made by these Street Morons, who are primarily Socialists. I find that the best tactic to use is, a repetative “NO MOSQUE HERE” chant and completly ignore their presence. If it’s INsight it’s INsensitive. NO MOSQUE HERE! I was there and want to thank all others who showed up. We stood up to a real bigot, our mayor, other politicians and those thugs who again, showed us their true selfs, screaming obscenities, calling us names and creating disturbance. We made our statement, peacefully and with dignity, in contrast to loud and antisocial presence of sharia supporters. Liberals seem to support radical Islam because they defend their actions all the time. With that said, they are supporters of terrorism and are “Un-American”. Typical Barack Obama, George Soros, Van Jones type of supporters of the regime at the present time. Glad to have been there yesterday. And yes, it is so wonderful and important that we made our presence known – peacefully and with dignity. All of us here are on an important mission, and we are doing it well! It was great to meet you, and thanks to everyone who was there. When will they realise that people will NOT shut up and go away anymore! Islam is NOT A RACE! Islam is NOT a race, it’s a disease. Once I went to buy some cheese but they didn’t have the cheese I wanted. Naturally I chanted “racist!” over and over again. I still didn’t get my cheese. Next time I’ll shout “fascist!” That will get me the cheese, surely. Linoleum and cardboard are racist. No, really. Colonel Neville. The only way to treat cheese shop clerks. That was never 5 minutes just now. A POINT ABOUT ACCUSATIONS OF SO CALLED RACISM: This is nothing more than a wily strategy – & a lie. How can all of the rest of us infidels, defined by Islam as filthy non believers, be expected to tolerate those Islamists in their midst who are intolerant of all but their own narrow world? How can strategic reverse assimilation of the host country & the practice of civil war & insurrection waged in every country in which Islamists refuse to assimilate be deemed to be anything but an absurd, scheming demand, as part of a coup? How can there be such a thing as a”moderate Muslim” when Islam itself is neither moderate nor is it ever to be permitted to be reformed in any way as decreed by the Prophet? Islam means “submission”. 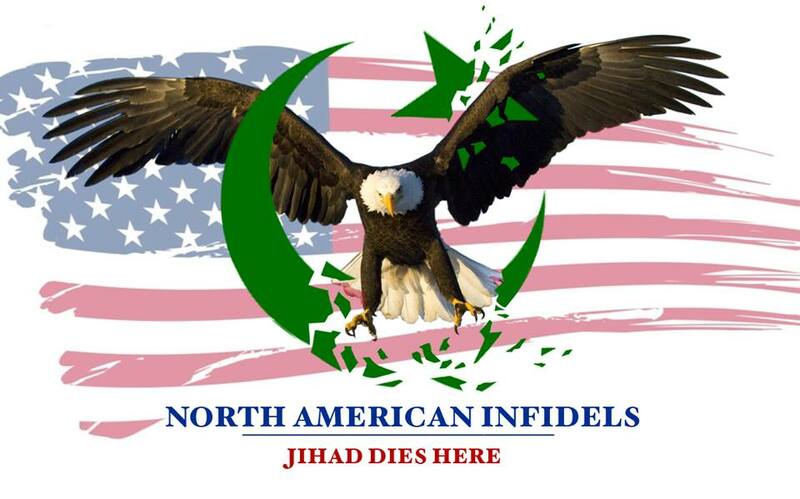 Jihad is its central tenet. Islam is the religion of the sword. How can subjecting Islam to the same scrutiny & criticism as any other religion on earth be deemed racist? Islam is not a race. Islam is not a nationality. Islamophobia is not a phobia, it is a legitimate fear. A phobia is entirely different, a phobia is an irrational fear of something non threatening & benign. Islam is not benign. Ask any apostate in hiding or rich enough for body guards. Islam is a highly politicized religious creed which uses mosques as political locations for its central organizing principle of jihad and which plans the next jihad inside those same mosques inside your city & mine. Islam is a Trojan horse which decries assimilation as a crime against humanity (only its own, of course) . Islam prides itself on the use of Taqiyaa, the Koran endorsed, religious, virtuous art of playing the professional victim & at every opportunity lying in order to further the spread Islam in order to achieve world dominance. Islam does not call non islamists future converts. It calls us “reverts”, about to either to the only true religion OR DIE. Revert or Die. Only people who have a sickening disaffection for democracy & a morbid, warped romance with terror & tyranny, in equality, slavery, pedophilia, & pride in ignorance would be so stupid & short sighted as to endorse a stunted tribal culture’s war based religion which has stagnated for the last 1400 years. Nice opening post! Welcome to the site. Islam is a highly politicized religious creed which uses mosques as political locations for its central organizing principle of jihad and which plans the next jihad inside those same mosques inside your city & mine. And herein is the great gulf between Islam and the West. There is nothing to cover it. The Emperor (or, more appropriately, the Prophet) has no clothes.